Most nights, including Saturday, I am in bed before 11 p.m. Who am I kidding? Often, I am in bed before 9 p.m. As you might suspect, this means I don’t watch a lot of “Saturday Night Live.” As the mom of a two-year-old, I do see fair amount of “Sesame Street.” Though this historic kids’ show, which is celebrating its 45th year, may not seem to have a lot in common with “SNL,” which is celebrating its 40th season, with a special anniversary show airing on Feb. 15, I believe they are the same show in several ways. “Sesame Street” star, Kermit the Frog has popped up on Saturday Night Live more than once. Though, they should really give Cookie Monster a chance after seeing this convincing video. Such big name celebrities as Jon Hamm, Joseph Gordon-Levitt, Mila Kunis and Nicole Kidman have appeared on both shows. Both feature the hottest musicians of the moment. Like “SNL,” “Sesame Street” likes to poke fun at pop culture. I now feel better knowing I can get my SNL fix at 11;30 a.m. instead of 11:30 p.m. 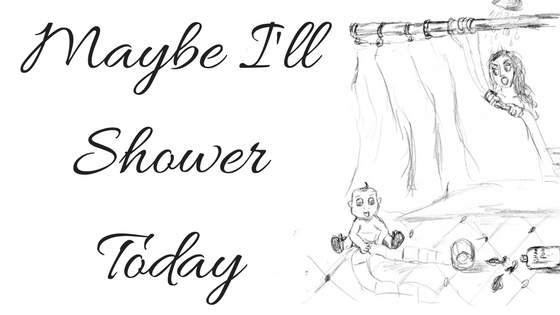 This entry was posted in Smile on February 14, 2015 by Maybe I'll Shower Today.